ModelCenter Introduction Video Watch this quick introduction video to learn how ModelCenter can help you. 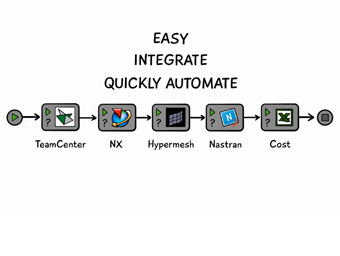 Showcase Video: ModelCenter Integrate Watch this short video to learn how to easily integrate your application and automate your workflows using ModelCenter Integrate. 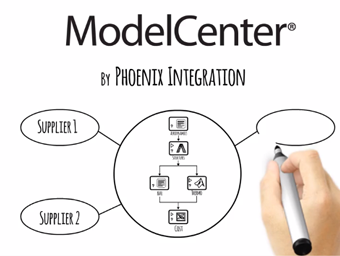 Phoenix Integration's ModelCenter® Integrate software solution is a model-based engineering framework that provides users with a wide variety of tools and methods to encapsulate individual analysis or simulation models, store them as reusable components, and create simulation workflows. Almost any software application can be included in a workflow: user created tools, legacy FORTRAN/C++ programs, spreadsheets, mathematical models, databases, as well as Computer Aided Design (CAD) and Computer Aided Engineering (CAE) models. ModelCenter® Explore is a graphical environment for design investigation and optimization that supports your entire product development team. Once a repeatable simulation workflow has been created with ModelCenter Integrate, engineers can interactively execute the workflow (using parallel computing resources if available), with each run corresponding to a different set of inputs. 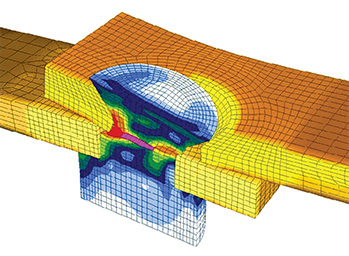 This allows engineers to explore and quantify the performance, cost, reliability, and risk of a large number of different design alternatives in a relatively short period of time. The Model-Based Systems Engineering Package (MBSEPak) provides an integrated modeling and analysis capability that bridges the gap between systems engineering and domain/disciplinary engineering. This integrated capability aims to streamline the system development process by enabling collaboration among design teams for defining, designing, optimizing, and validating complex engineering systems. 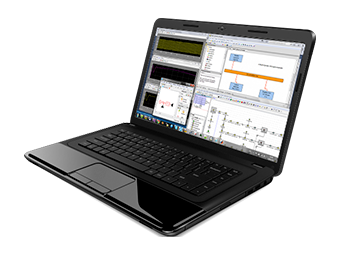 It enables users to link SysML parametric models defined in Rational Rhapsody® or MagicDraw® with multi-disciplinary analysis workflows developed in ModelCenter. MBSEPak automatically generates ModelCenter models from SysML parametric diagrams. We are the framework for Model-Based Engineering. With ModelCenter by Phoenix Integration you can integrate your engineering simulation tools, explore your product designs, and organize your engineering knowledge. Achieve a true Model-Based Engineering development process with Phoenix Integration's easy-to-use, flexible set of software applications. Shorten design cycles, reduce errors and development costs, all while improving product performance and quality. ModelCenter enables collaboration between teams and organization up and down the supply chain while allowing maximum co-operation without giving away proprietary information. 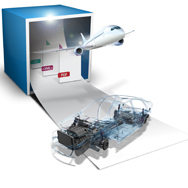 ModelCenter drives innovation and improves product quality by enabling users to explore and understand the design space, make better decisions, and find optimal solutions.